Corporate Matching Gifts make your support go further! Did you know you could double or even triple the value of your gift? By sending us your employer’s matching gift form, you can increase the impact of your donation. Please ask your human resources or corporate giving office about your company’s matching gift policy. Supporting Theatre for a New Audience is a thoughtful and meaningful way to honor a spouse, friend, or colleague for a special milestone in their lives, such as a birthday or anniversary, or pay tribute to those who have made a difference in your life. When you make a gift in Honor or in Memory of an individual, Theatre for a New Audience will send a personalized notification to the person or family you are honoring, to let them know of your thoughtful donation. Director of Institutional Advancement, at 212-229-2819, ext. 29 or by email to jlynes@tfana.org to make arrangements. Consider the ease and advantages of a gift of securities—when you give appreciated securities that you have owned for more than one year, you pay no capital gains tax on the gift and you may claim the current higher value of the stock as a charitable deduction. For information on supporting Theatre for a New Audience please contact James Lynes, Director of Institutional Advancement, at 212-229-2819, ext. 29 or by email at jlynes@tfana.org. 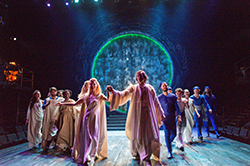 Cast of Pericles directed by Trevor Nunn. Photo by Richard Termine. 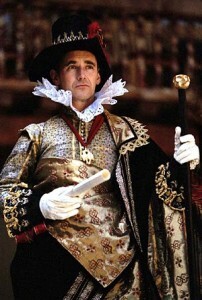 Mark Rylance in Measure For Meaure.